This week I had the opportunity to work with and train the customer on our new dual vessel filter unit at a drilling site. At a large construction site multiple drilling rigs were drilling holes and using large volumes of water. The used water did contain high dirt load of solids, too high for reuse or disposal. 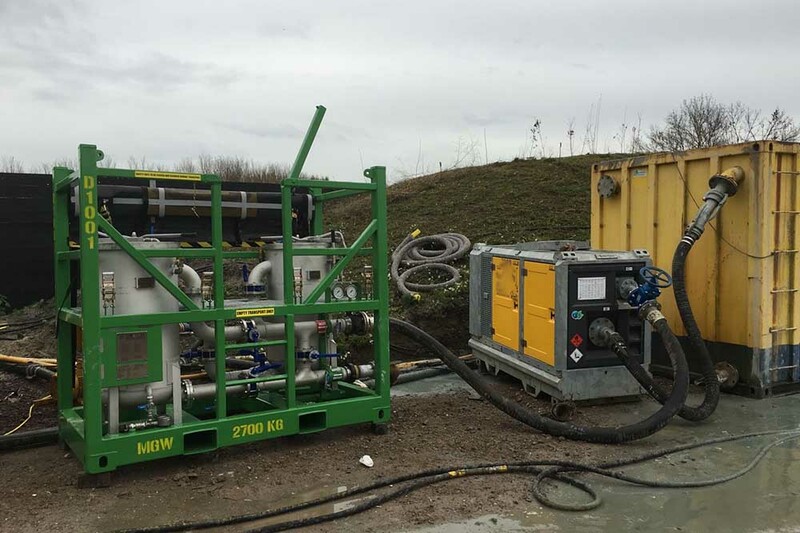 Dutch Filtration supplied a dual vessel combination filter unit to clean up the water for reuse. 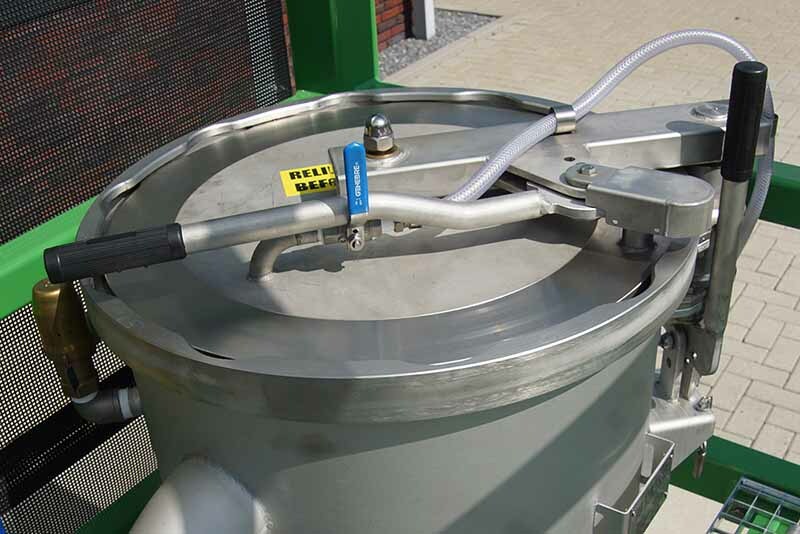 The combination unit can either be used for cartridge filtration as well as bag filtration. The unit was used in series operation.The first vessel fitted with 20 micron polypropylene filter felt bags and in series the second vessel 10 micron pleated filter cartridges. In my Twin Filter period, I have provided many training sessions and filter jobs onsite with the Duplex filter unit. To access the bags or filter cartridges in the vessels, you have to loosen and tighten 10 nuts per vessel. Simple but a labour intensive exercise. Dutch Filtration has developed a unique quick opening closure especially for oilfield filter units. Simple, Quick, Robust and Safe. I did try the Rudi QOC many times in our machineshop but real life filter job is always different. Differential Pressure goes up and the bags or cartridges need to be changed out quickly. So yesterday, due to the high dirt load, I had to open the vessel every hour for change out of the filter bags. This was such an easy job with the new quick opening closure. Very smooth, easy and safe. The customer was happy with the water quality and the filter operator did not complain about opening the vessels regularly. He gave compliments about the total design of the unit and will insist on a unit with a quick opening closure in the future.